Founded by four members of the Reusing Family, Memory Experts makes an immediate impact with its unique custom-designed memory expansion modules and storage systems manufactured for Office Equipment OEMs and Distributors. 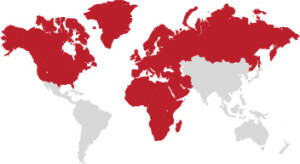 Opens offices in EMEA and USA to signal global intentions. Begins developing key strategic global OEM partnerships focused within the office equipment space. First factory begins operation in California. Interconnect Solutions is founded as a division of Memory Experts International, focused on manufacturing custom cable assemblies and wire harnesses for OEMs. 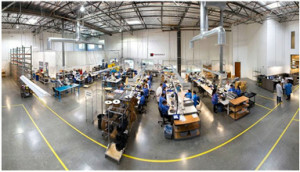 The factory is expanded to support the new contract cable manufacturing business in Irvine, CA. The company moves to its new headquarters in Montreal. A new state-of-the-art production facility in California is built from the ground up to optimize the company’s contract manufacturing capabilities as well as support production of all business units. A new office is opened in Hong Kong. The company acquires targeted certifications enabling it to sell to specific government entities in many countries. The company unveils new corporate branding to reinforce it's position as a global provider of custom solutions for the Office Equipment industry. The company unveils new corporate branding to position itself as a global provider of custom solutions for the electronic industry, and launches its acquisition strategy to grow the electronic manufacturing services business in California. January '15 - Acquisition of SMT Manufacturing Inc. Manufacturer of Electronic Assemblies and Box Builds from prototyping, NPI to quick turn.